Cool advertising and promotion vectors. Download large vector images collection with shopping illustrations for free. Different layouts for a product with a 20% discount. Bright colors on all the different labels, stickers and decorative graphics. Free vector illustrations for all your shopping, buying, trade, commerce, discount prices, sales and promotions designs. 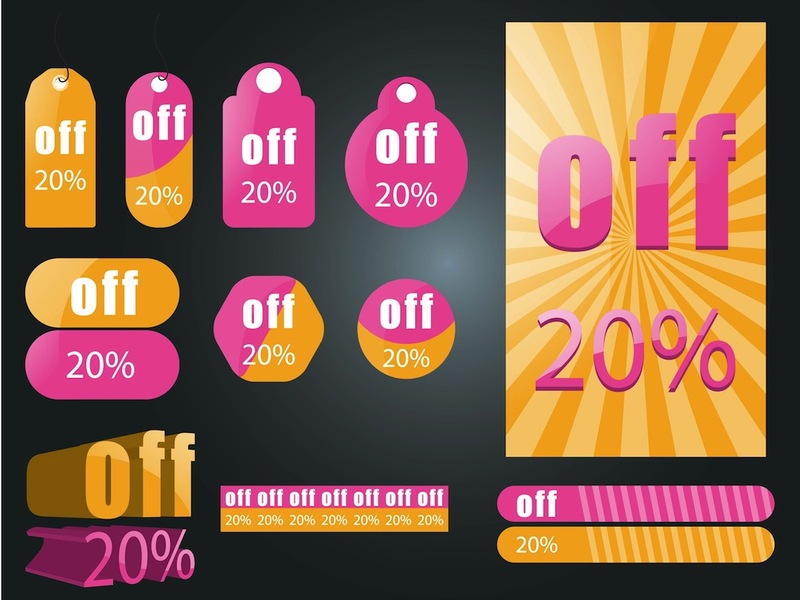 Tags: 20%, Colorful, Discount, Icons, Labels, Sale, Shopping, Stickers.